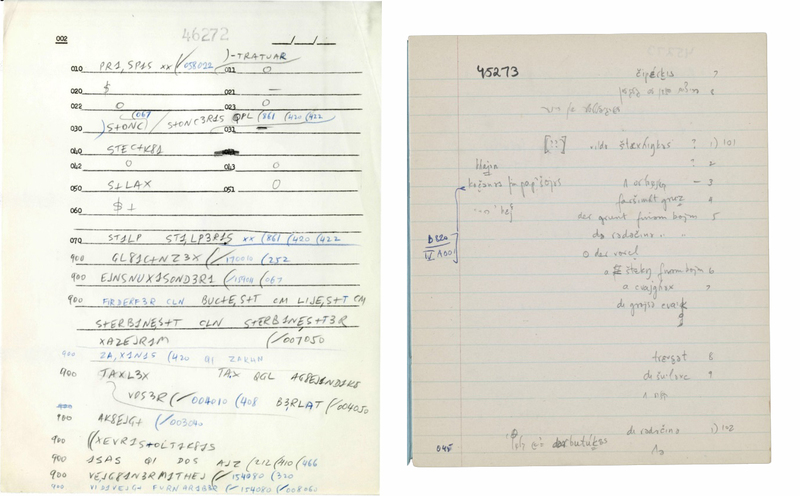 Examples of questionnaire pages for the Language and Culture Archive of Ashkenazic Jewry (LCAAJ), which consists of field interviews recorded between 1959 and 1972 with Yiddish-speaking informants conducted by Columbia University’s Department of Linguistics. Learn more here. 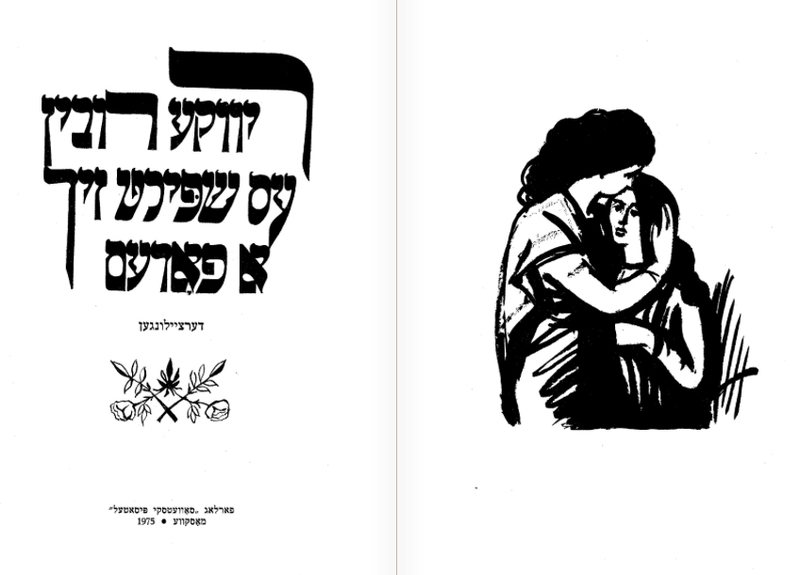 Image courtesy of Columbia University Libraries. 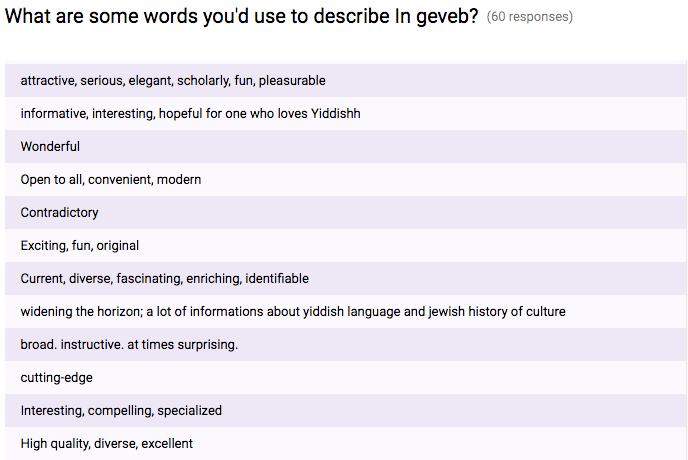 We know what we think: In geveb is our favorite place to turn for academic articles, translations, pedagogical materials, reviews, and fresh takes on the Yiddish scene. But what matters more to us is what you think. What brings you to our site, and what keeps you coming back? What do you wish we published more of, and where can we improve? We’ve created a new reader survey so you can tell us how we’re doing. You can click on the link, or you can fill the survey out in the embedded form below. Your feedback will help us as we wrap up In geveb’s third year of publication and make plans for the fall. Responses are anonymous. Once you complete the survey, you’ll have the option to enter your name and address to receive your very own In geveb pencil as a token of our gratitude. Editors, The . “Reader Survey.” In geveb, July 2018: https://ingeveb.org/blog/reader-survey-2018. Editors, The . “Reader Survey.” In geveb (July 2018): Accessed Apr 21, 2019.